Find out how you can become an engineer. 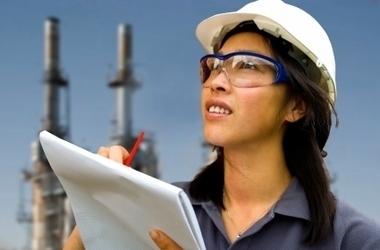 You may be aware of the most common engineering subspecialties, like civil engineering (the design of roads, bridges, buildings and the like), computer engineering (the design of computer hardware), and electrical and electronic engineering (the design of electrical and electronic systems, including computer systems and software). But did you know that there are literally hundreds of different job titles under the engineering umbrella in at least a dozen categories? Agricultural and biological engineers: Combine their expertise in engineering technologies and biological sciences to develop, for example, agricultural machinery and structures. They also work to solve related environmental problems, such as soil erosion, and create new ways to use agricultural byproducts and natural resources. Marine and ocean engineers: Design, build and maintain ships, aircraft carriers, submarines, tankers, tugboats and other large waterborne vehicles. A marine engineer, for example, might select and maintain the machinery on a large ship, while an ocean engineer may be involved in designing and operating an oil rig that's been built out at sea. You can find additional information about specific engineering careers in Monster's Job Profiles, the Bureau of Labor Statistics' Occupational Outlook Handbook and Web sites for the professional associations affiliated with each engineering specialty.